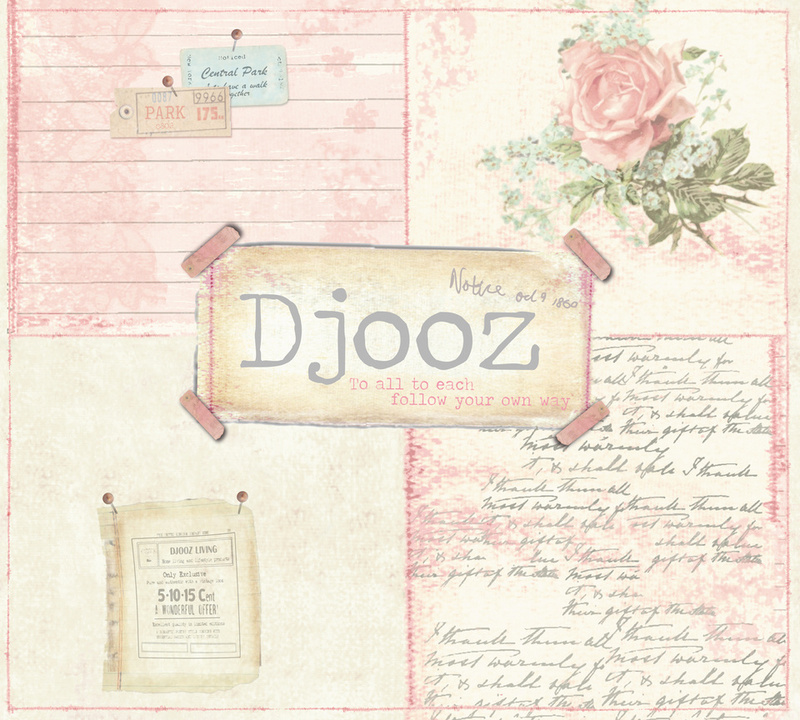 Hazy blossoms, poetic text elements and vintage collages with a hand-made character; "Djooz" brings the charm of the twenties and thirties back to life. 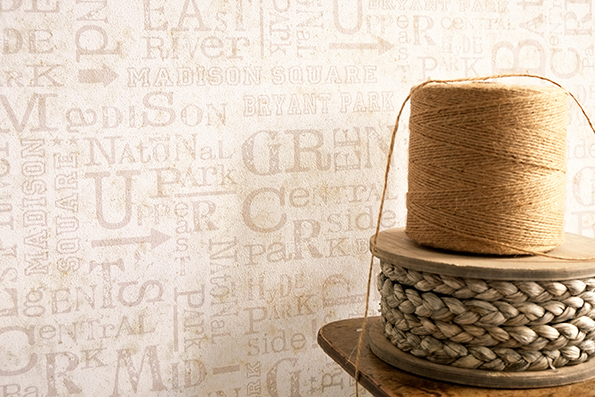 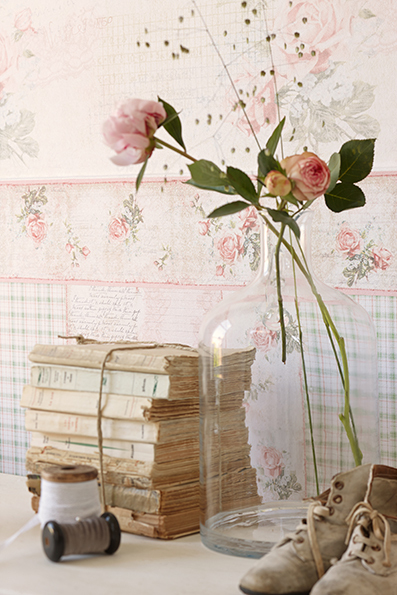 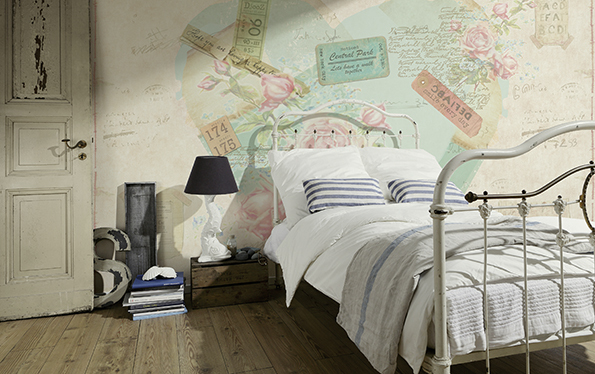 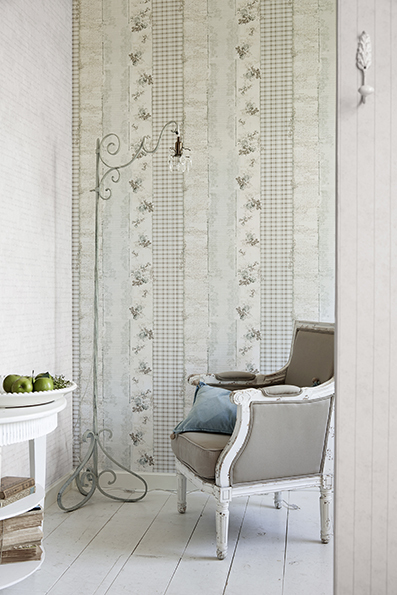 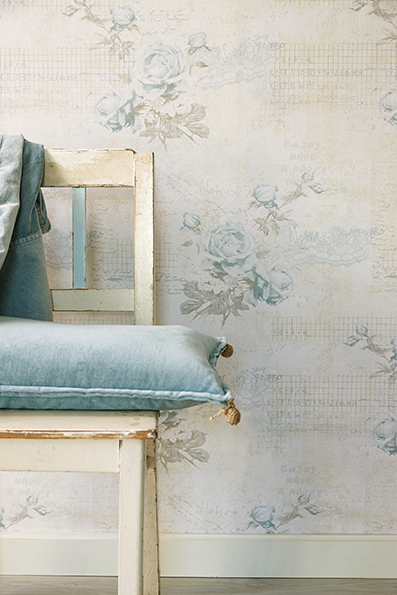 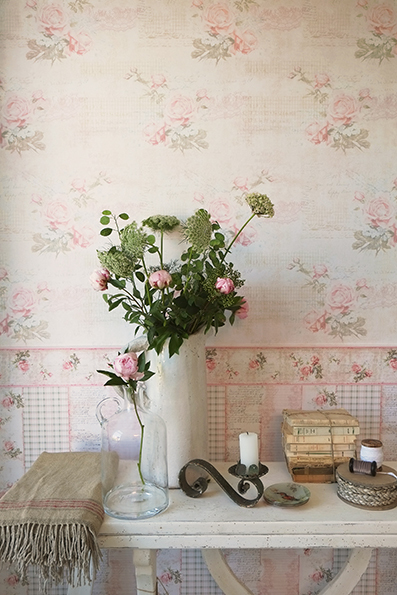 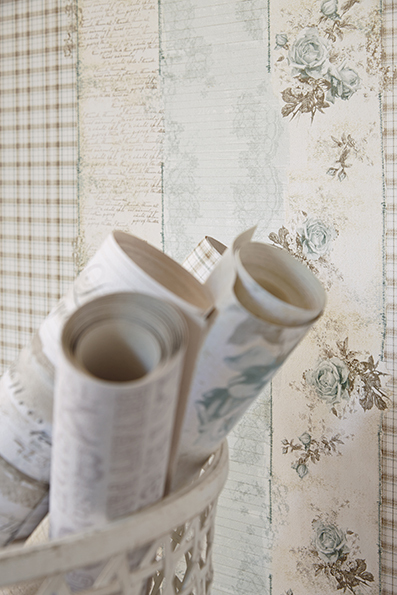 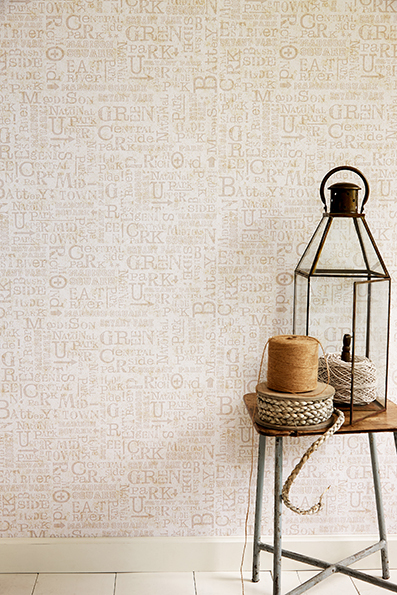 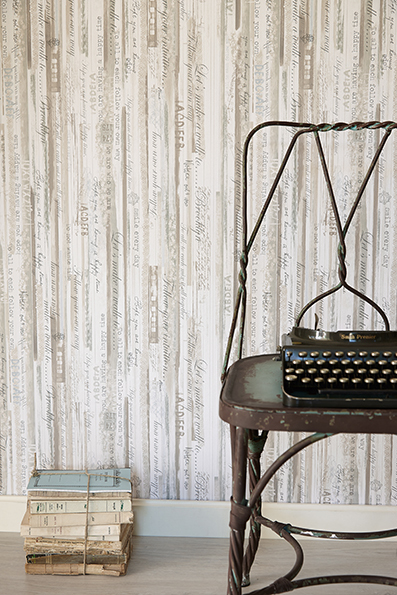 The Dutch lifestyle brand presents its first wallpaper collection, produced in collaboration with A.S. Création. 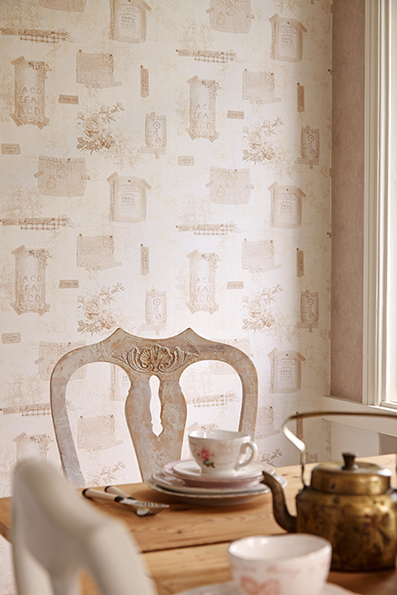 The decorative designs in delicate soft ice blue, pink and vintage grey on a matt paper base create a nostalgically romantic atmosphere. 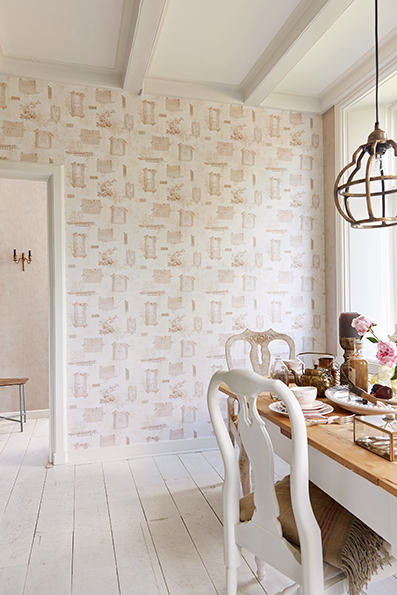 It is just as perfect for cottage style as for modern Scandinavian type interiors.